The common perception is that an attic is a relatively unimportant area of your home, and you may not think about making upgrades and improvements to this space. However, the reality is that an attic is critical to roof performance and to the energy efficiency of your home. In fact, as much as 28 percent of your climate control costs throughout the year may be attributed to loss because of poor or inadequate ventilation and insulation in the attic. Upgrading your attic insulation & ventilation can be a very cost effective and beneficial upgrade for energy savings, roofing life, and comfort in your home. When you go into your attic in the summer, you may notice that this area of your home is sweltering. Likewise, it may be frigid in the winter. The primary component that is keeping these extreme temperatures from filtering through the drywall in your ceiling and entering your home is the insulation. This means that your attic insulation needs to be superior for maximum energy efficiency. A good way to determine if you need more insulation in your attic is to check out your roof during snowy or icy conditions. If the snow or ice on your roof is melting when your neighbors’ roofs do not show this sign, it means that heat is escaping from inside your home and up through the attic to melt the snow and ice. You can also compare energy costs with your neighbors. A significant difference may indicate that your home is less energy efficiency than your neighbors. Improving your insulation is essential in this case if you want to maximize energy efficiency and save money on energy bills. Many homes when they are built, use the minimum amount of attic insulation possible to pass code. While you now may be aware of the importance of attic insulation, you may not understand how ventilation plays a role in energy efficiency. Consider that warm air in the attic is trapped in the space by the roof. Ventilation allows this heat to escape so that there is less temperature differential between the attic and the rooms inside your home. Likewise, it allows cool air to escape when the temperature warms up outside on winter days. A side benefit of ventilation is that it may reduce humidity in the attic, which will decrease the likelihood of mold growth. Proper ventilation is also extremely important in the life of your roof. It is a good idea to have your attic inspected for proper insulation and ventilation. It is very cost effective to add insulation and make improvements. You’ll see immediate savings in heating and cooling, and long term benefits in roof life. 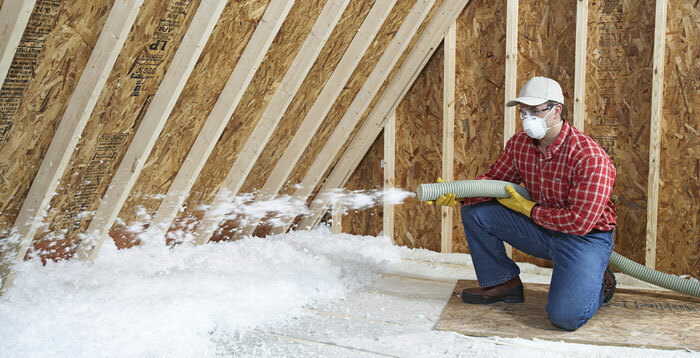 Find out if you could benefit from added attic insulation or ventilation. No obligation or pressure. Rocky Mountain Exteriors provides certified roofing and attic insulation services.